Welcome to eZee Insider, your monthly gateway into all things eZee. 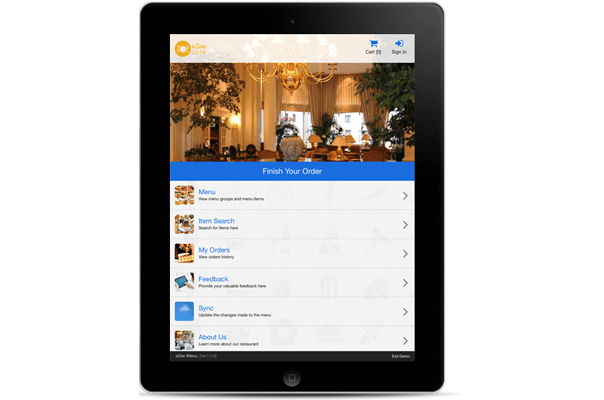 In this edition, eZee updates eZee iMenu, Restaurant Tablet Menu with brand new features. 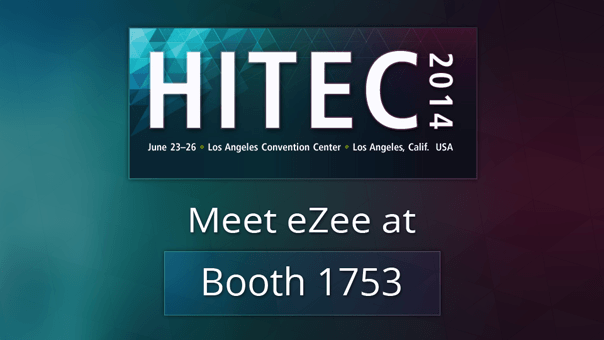 And, learn how content marketing can help your hotels and eZee exhibiting at HITEC 2014 in United States. Cape Town Café part of Titos Goa implements eZee BurrP! eZee iMenu, Digital Restaurant Tablet Menu has been updated with brand new features which will help restaurants to run their daily operations more efficiently and effectively. The app which is available on Google Play Store and Apple App Store for download supports Android Tablets and iPads. User-friendly interface offers a smooth navigation of the menu and placing orders is blazing fast. eZee iMenu will help improve customer service and enhance revenue generating capability of the business. Operations Mode: One of the brand new features which we are excited about is the diverse operation modes available in iMenu which can be adapted by any restaurant type regardless of their operational style. The three modes can be activated by giving specific rights to the users who have access to the tablet and can be changed anytime according to the changing requirements. Order/Item Remarks: Guests or waiter can add any specific remark for individual items allowing them to specify any special requests for the items which they may have. In addition, order remarks can be used to specify a common request for the entire order. Quick Search: Customers or staff can quickly look up items with quick search feature. This feature enables customers to quickly search for a specific item among different sub menu items. Export Menu: Easily export your current menu from eZee BurrP! or any other POS to eZee iMenu without any hassle. This allows for easy transition and makes it much easier for restaurants to adapt eZee iMenu. Amaze your customers with interactive and vibrant digital menus while your staff can concentrate on making their experience a memorable one. You can download the App today and start exploring the demo of eZee iMenu without the any need for registration or any kind of commitment. To know more about eZee iMenu and other features please visit www.ezeeimenu.com or contact us at info@ezeetechnosys.com. Hospitality Industry Technology Exposition and Conference 2014, a service of Hospitality Financial and Technology Professionals (HFTP), is the world's largest hospitality technology exposition and conference. The expo showcases the latest products and solutions from more than 300 companies from around the world. eZee is looking forward to meet industry experts, hospitality brands and reach out to hospitality businesses in North America. Hitesh Patel, co-founder and CEO of eZee Technosys Says, "We have been going strength to strength each year with constant growth globally and it is a perfect time for us to showcase our products and offerings at HITEC 2014. We would like to build effective partnerships and build our brand in North America." We will be showcasing our product line up at booth 1753 during the 3 day technology conference, which will take place from June 23 to June 26 this year at Los Angeles Convention Center in Los Angeles, California, United States. The word "Content Marketing" has been the industry buzzword for quite some time now, specifically in the last few years and there is definitely a valid reason for it. When done right it can do wonders for your business and increases brand value and build customer loyalty. There is neither a specific method nor any kind of rule that you need to follow when it comes to creation of content and distribution of it. So how does one know if they are producing the right content and distributing it through the right channels? The answer to that question is a little more complex, because getting the most relevant content to the correct audience at the very right time is no easy task and that too through the right channels. Identifying the target audience for your hotel is the first step towards a successful content marketing strategy and then comes the segmentation of the target audience which is equally important. You will have to go back to the basics; you have to know what kind of travelers are choosing your hotel and for what reasons. This will help you to identify other aspects of your business, i.e. is your strength and weakness of the services you offer. Once you have identified your strengths, it becomes easier to reach your current and potential customers as you will be putting your brand's best foot forward. Now that we have figured out what our target audience is and what they expect, we come to the next step that is creating content. There are no fix parameters when it comes to content creation, but one needs to follow a simple rule of thumb that is to create engaging content which has a clear purpose that is to meet an organization's goals. First, you have to identify the form in which the content will be published; today there is no limit in what form content can be published in, web pages, blogs, videos, brochures, etc. there is an immense amount of options to choose from. But how does one know which is the right content and in which form? To be honest, you don't and for that matter no one does either and that is perfectly fine. Initially you will have to experiment quite a bit and majority of the time it might not even connect but that's okay. You have to remember that no one knows your products and services better than you and what worked for a different organization doesn't necessarily will work for you and vice versa. Bronze Lake has adapted eZee FrontDesk and eZee BurrP! as their Property Management System and Restaurant POS respectively. Bronze Lake one of the most famous resorts in Cambodia located in Kampong Thom Province. Resort offers many amenities such as fitness center, bar/lounge, restaurant, etc. Bronze Lake also boasts variety of accommodation options like chalets on the secluded island, bungalows along the river and variety of room types. eZee FrontDesk coupled with eZee BurrP! will provide a solid foundation on which the resort will run all of its operations with ease. The seamless integration between the two solutions will further improve their operations. eZee will provide its 24X7 uninterrupted support to the staff of Bronze Lake and hopes to build a long term business relationship with the management of Bronze Lake. Cape Town Café one of the most famous and happening bars in Goa is located at Baga-Calangute is owned and managed by Titos group. The famous restaurant/bar has recently adapted eZee BurrP! as their Point-of-Sale solution. daily operations become more efficient. The Café offers multi-cuisine menu and cocktails is famous among local and international tourists. Established in 2009, it is located in famous Tito's road where other famous clubs, pubs, and restaurants are located which are also under management of Titos Group. eZee looks forward to build a strong long-term relationship with the group and strengthen our presence in Goa.